BAMTech and Silver Chalice Ventures (SCV) announced a sports tech partnership involving digital media rights, advanced technology and an investment injection in order to upgrade live streaming technologies, enhance the fan experience and deliver fans unique content to existing and future college sport channels over platforms and mobile devices. The Sports Techie community blog had an exclusive chat with Brooks Boyer, the CEO of SCV, and Senior VP, Sales and Marketing, Chicago White Sox, as well as Dana Golden, EVP, Business Development, SilverChalice, about this significant news and what BAMTech means for their current infrastructure of web, mobile and connected TV, OTT and streaming media devices. The new suite of BAMTech-driven live stream products, distribution channels and partner platforms are all poised to help grow the U.S. audience for SCV while allowing the company to improve value to investors, rightsholders and partners, sponsors and viewers. 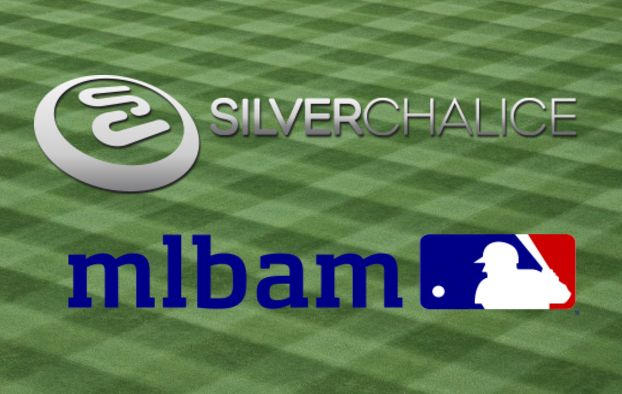 BAMTech Partners With Silver Chalice Ventures, SportsTechie Blog Exclusive. Silver Chalice launched their digital sports network operations in 2011 with the ACC Digital Network (ACCDN) together with Raycom Sports and the Atlantic Coast Conference, and has since built a strong portfolio of existing tech, and original programming and linear TV content, revolving around college sports news, highlights, recruitment, and most importantly, live sport game distribution. Campus Insiders (CI) and 120 Sports are now thriving as additional SCV assets. The properties feature news reporting and social media content in addition to Must See Moments, full game on-demand archives, provoking interviews, male / female student athlete and coach access, as well as special daily features. SCV is led by Chairman Jerry Reinsdorf and fellow co-owners of the Chicago White Sox. The company owns and operates Campus Insiders, SportsLabs, the ACCDN, and 120 Sports in partnership with MLBAM, the NHL, Time Inc. / Sports Illustrated (SI), the PGA TOUR and Campus Insiders. SCV distribution partners include go90 by Verizon and also Verizon’s new Yahoo property after a $5 billion investment, Sling TV, social platform Twitter, website MSN.com, YouTube owned by Google, and USA Today Sports. Fans of all college sports can access CI video highlights and compelling programming on connected devices the likes of Apple TV, Roku and Amazon Fire TV, and social platforms Facebook and Twitter. Boyer informed me, “Silver Chalice is excited about the BAMTech relationship.” While this announcement is not bigger than the BAMTech announcement the week before resulting in a $1 billion Disney investment in the video and technology pioneer, Boyer is definitely aware of what is going on with Disney, ESPN and ABC. According to ESPN, Disney’s investment in BAMTech, a global leader in direct-to-consumer streaming services, data analytics and commerce management with nearly 7.5 million total paid subscribers to its clients’ OTT products, injects capital to accelerate growth of its proprietary video-delivery platform, deliver greater flexibility to clients and develop new technologies and capabilities. As a result, Disney now owns one-third of BAMTech, which is majority owned by the all 30 MLB owners. The current cable model for Disney includes streaming content from MLB, NHL, PGA Tour Live, Yes Network, Ice Network, and the WWE’s 1.3 million WWE Network subscribers that includes, my big fan brother and his family. Disney receives approximately $6.50 per customer for cable subscribers that contract for ESPN. The branded ESPN live streaming channel owned by Disney will include an impressive streaming portfolio of existing sports properties unless or until each property chooses someday down the road to do the OTT delivery route themselves. The BAMTech investment in an equity position marks the first outside investment SCV has received since the launch of CI, 120 Sports and the official ACCDN, not to be confused with the soon to be launched ACC Network by ESPN. According to the deal, BAMTech known as the technological developer of MLBAM, the technology arm of MLB, is providing scalable infrastructure and has distribute rights for the ACC Digital Network, CI and more when unveiling new consumer facing products, and B2C and B2B services. Look for CI and the ACCDN to transition to BAMTech’s streaming platform and pursue expansion of its portfolio of collegiate sports rights. Boyer is a Chicago area lifer, attending Notre Dame as an undergrad and then DePaul University, Charles H. Kellstadt Graduate School of Business. After an internship with the Chicago Bulls, his career took off with the NBA team as an executive before landing his current work gigs with the White Sox and SCV over twelve and seven years ago, respectively. Golden and I are from the same class in high school, a fact I figured out via her LinkedIn profile, and like Boyer, they both have impressive career histories in sports business. Golden worked as an executive for Disney, Comcast and CelebTV giving her insightful knowledge about how high-level Biz Dev in the media and sports industries evolves. Silver Chalice Ventures Partners With BAMTech. I queried about adding more sports tech generated bells and whistles to SCV content offerings such as Campus Insiders recruiting information with SportsLab content in order to increase the emphasis on sports performance and analytics. SportsLab is located in Boulder, CO, works with individual schools and via the platform delivers directly to consumers. Boyer said, “Analytics in the digital space makes it relatively easy to know where fans are coming from.” While Boyer clearly understands website generated analytics I presented the question wrong. I really wanted to know for example, if MLB StatCast content such as baseball performance statistics, charts and graphics would be integrated into SCV digital broadcasts for the enjoyment of fans, potential recruits and as a sponsorship opportunity. I am sure the digital sports company will. The buzz term “Fan Experience” and optimizing it is paramount to media companies, sports teams, sponsors, and large events alike, including college bowl games such as the Nova Home Loans Arizona Bowl operated by CVS. Boyer said, “BAMTech was built for MLB and NHL fan experiences, CVS looks forward to creating innovative technologies, while leveraging the teams together and building on the experience itself for each partner. Boyer spoke more about the Nova Home Loans Arizona Bowl and the increase in traffic and sponsorship BAMTech will assist driving. He said he was texting with Bob Bowman, president and CEO of Major League Baseball Advanced Media, or BAM, on the way to work about the Nova bowl, the first time a digitally focused bowl game has ever been produced. He added, “It takes time to build up a brand and interest level.” They further discussed how to drive strategic partner relationships with broadcast enhancements. The BAM team knows college sports and this helps to open up new tech avenues while working with the the Mountain West Conference, and other key conference partners like the Big 12 Conference, West Coast Conference and Patriot League, Conference USA and the CIAA. Most businesses wants the eyeballs of the millennial generation and even Gen Z. This topic and conversation with Boyer and Brooks was enlightening as I explained I am 50 years old with a 3-year old autistic son that keeps me close to next-gen development. Boyer trumped me by sharing he has six kids, teenagers down to younger kids of both sexes. He said viewership by high schoolers does not involve watching TV except for live events. His children get annoyed if they are not able to watch on their smartphones as next-generation consumers. Boyer’s theories about youth consumption are part of the reason SCV launched as an all-digital format so the company and their distributors can deliver content to fans where they want it, when they want and how they want it. “Ten years ago,” said Boyer, “cord cutter” was not even a term, “cord never,” and “cord shaver,” are newer concepts.” His daughter is a sophomore in high school and expects delivery through OTT. As the cable and OTT worlds collide, it becomes easier to use the remote on a TV and not know if it is linear or OTT feeds producing a truly seamless experience. There are no SCV plans yet for Snapchat but Boyer and Golden are excited about the evolving Twitter partnership. 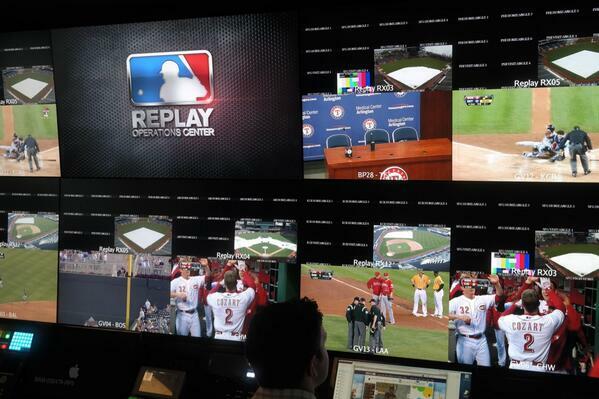 With the notion that regional broadcasts such as MLB’s are the new model for success, I asked them about SCV regionalism as a possible new company focus. Brooks labeled it, “GeoGating.” In other words, he feels the audience may be regional but there is not a need to focus on regionalism when you can deliver live or archived digital sport content wherever fans are and when they want it, whether that be in Chicago, New York or Miami. An Air Force University football fan in Buffalo, (where Dana is based) can easily tap into Campus Insiders recruiting info the same as if they are located in Colorado Springs. The part of this media, technology and business MLBAM and BAMTech puzzle that escapes my complete understanding is the potential for a conflict of interest. MLB owners separate the league from MLAM’s BAMTech and keep the revenue it generates for themselves. The owners do not add this profit to the Collective Bargaining Agreement (CBA) bottom line for distribution to teams, especially those that generate less revenue, as well as keep these profits out of the player’s association share, as far as I know. To further the confusion, 120 Sports has partnerships with MLBAM, NHL, Time / SI, PGA, and CI. Therefore, MLBAM is actually part of this business equation with SilverChalice but are still separate from BAMTech. I poised the following concern to Boyer. If the owners of the White Sox, including Reinsdorf, are accepting investment from BAMTech owned by MLBAM, doesn’t that in fact make it a conflict of interest in terms of the CBA and revenue sharing. Boyer assures me that Reinsdorf has spun off SCV and separated himself from this transaction completely so there is no conflict of interest. I find it difficult to fathom that MLB owners are not including BAMTech in league revenue. Also, Reinsdorf and fellow ChiSox owners are accepting the injection of capital and infrastructure from BAMTech while acting as a MLB franchise owner making it potentially a MLB-centric transaction. Confusing to say the least, especially if you are a Major League Baseball player wondering why this BAMTech aka MLBAM money is not shared with them. This business arrangement reminds me of the NFL investment in FanDuel daily fantasy sports company, and the investments by Dallas Cowboys owner, Jerry Jones, and New England Patriots owner, Robert Kraft, in dfsports rival DraftKings, when the league is totally against sports betting or gambling of any kind at this time which I believe dfs is. I love playing fantasy football, our draft is on Labor Day using CBS Sports. Draftkings also has investment by MLB. Talk about having a cake and eating it too. Sports Techie, OTT has certainly changed the landscape of digital content distribution, a trend SVC and BAMTech are capitalizing on together. When asked if I covered everything surrounding this story, Brooks wanted to reemphasize the notion that SCV will deliver the best possible content with the best possible technology. SCV partnering with BAMTech is certainly a step in right sports tech direction. My #SportsTechie gratitude goes out to Brooks and Dana for carving the time to interview during a monumental time in Silver Chalice history. If SCV wants me to host a sports tech-centric show sure to go viral, let me know, I’m your huckleberry.